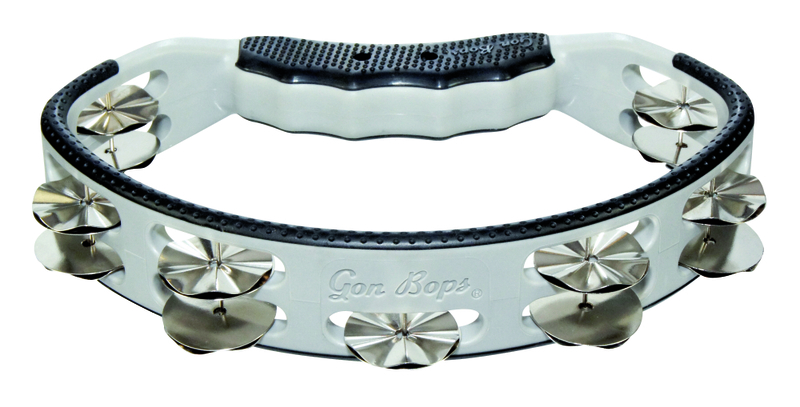 These full sounding tambourines are solidly constructed from lightweight 7-ply basswood shells. 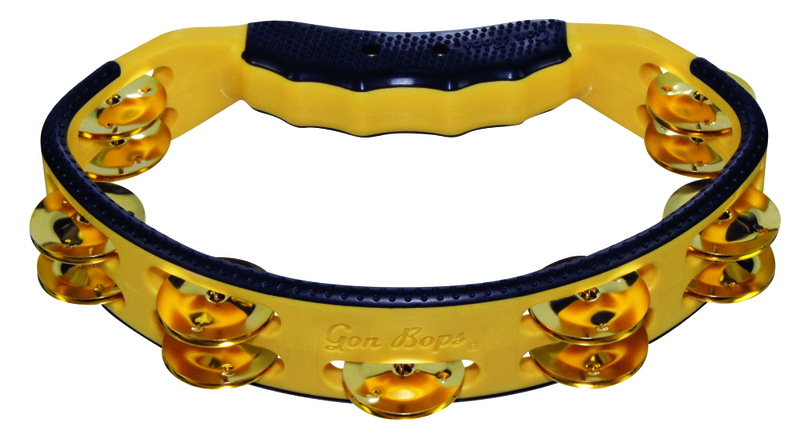 The model line-up includes two 10" single row and two 10" double row instruments -- with and without heads. Extremely lightweight, they deliver the sonic timbre and range to cover any style of music. 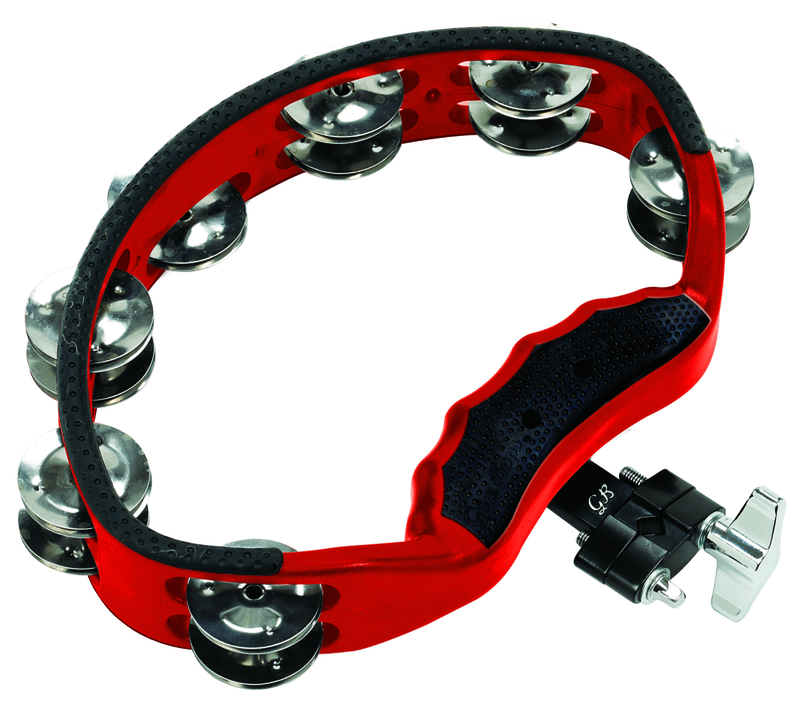 With many of the same features as our innovative tambourines, this is a rugged, great-sounding instrument. 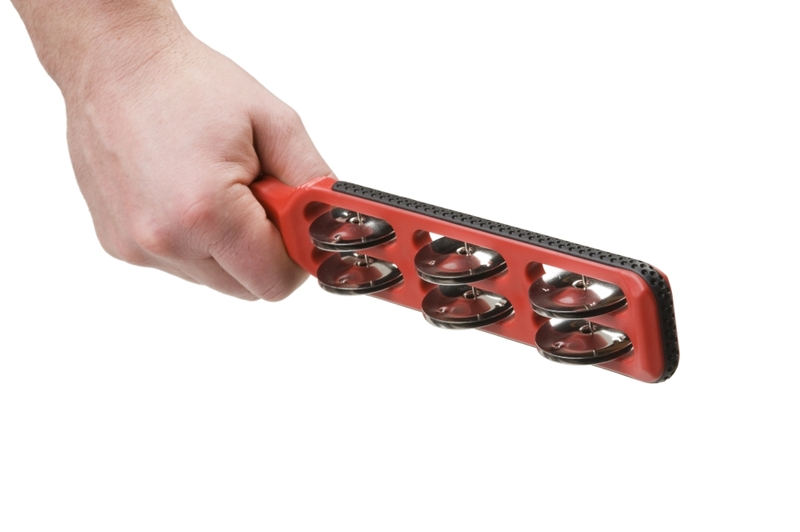 Through-the-handle quick release with patented Gon Bops V-Grip mount holds securely without sacrificing ergonomics.